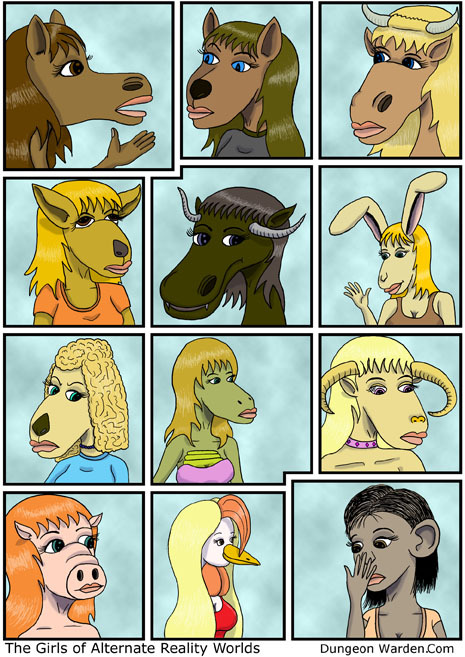 For page 200 I have introduced a whole lot of new characters. Karlaia is about to be confronted by her past at a very inconvenient time. She's going to have to use every skill at her disposal if she whats to survive the next few minutes. 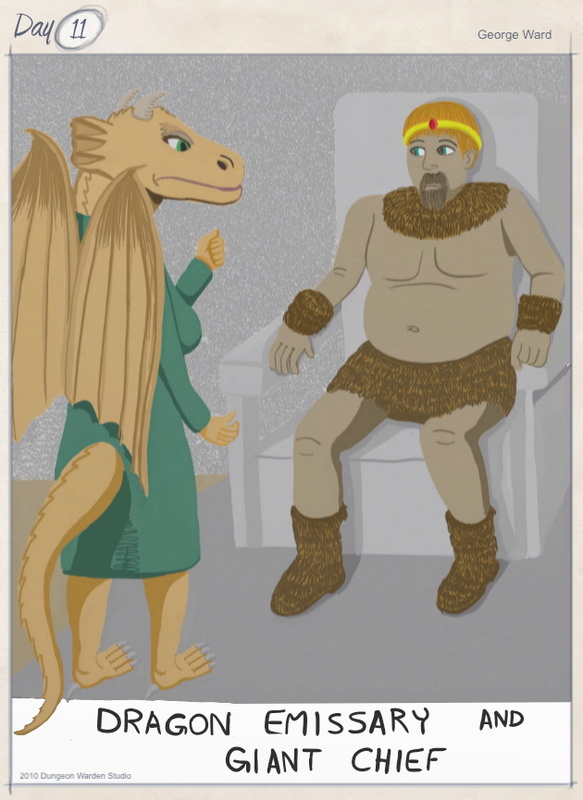 This Dragon Emissary and Giant chief are the last major new characters introduced on page 200. Several minor characters are also introduced. Check out the page and then go back and read the story. Major plot twists are ahead. The Dragon Emissary has come to convince the Giant Chief to use his forces to support the Tieflings war against the Dragonborn. Why would a dragon help a half-demon race attack a group of people closely related to her own? She harbors many secrets that will be revealed as the story continues. The Giant Chief has problems of his own, so unless the Emissary and Tieflings can help him solve his problems, he�s not interested in helping them. Unless the party can make a counter offer, they may have a major war on their hands.